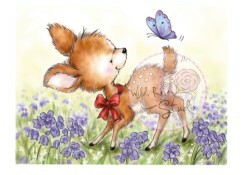 These gorgeous new Bluebell stamps evoke woodland glades, fresh grass and sunny mornings. 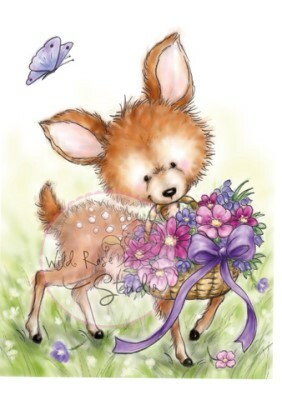 Here Bluebell has a fantastic basket of flowers that is sure to bring a smile to whoever receives this image on a card. This is for the Bluebell With Basket Clear Stamp from the Bluebell 2014 collection from Wild Rose Studio. This stamp set measures approx. 4" x 3"